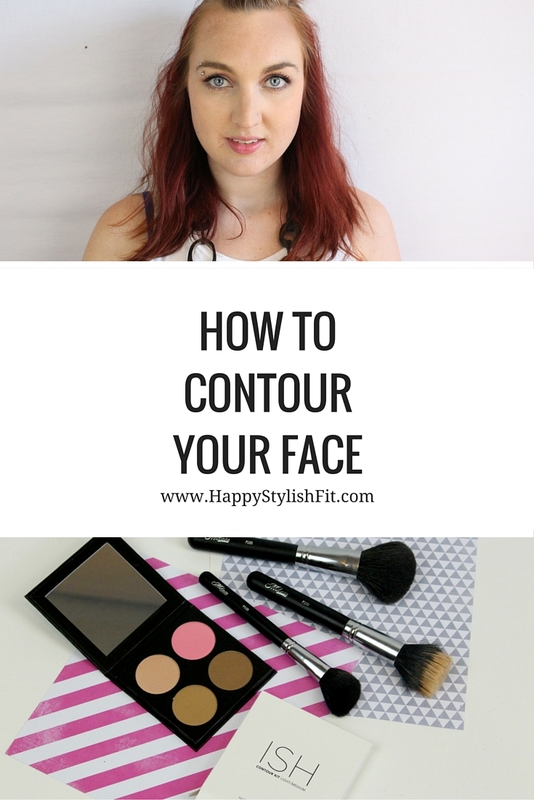 Have you wanted to try contouring but weren’t sure of how to do it? Are you unsure of what the right products and tools are? Then you are in the right place. I will take you step by step through the process of contouring with contour, blush, bronzer, and highlight. 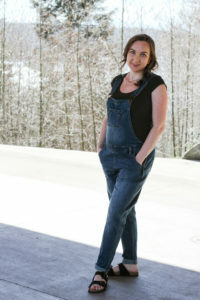 You will also learn how to choose the right products and use the right brushes. Contouring helps to slim and define your face, and with the use of bronzer and highlight it helps to give you a more youthful, sun kissed glow. So grab your beauty supplies and let’s dig right in! Disclaimer: I am not a professional makeup artist, nor have I ever been trained how to do makeup. I am simply a girl who has always enjoyed playing with makeup and trying new things. This is simply the way I like to contour. In no way do I think everyone should contour, or that they need to do it this way. Do your makeup in a way that makes you happy and makes you feel confident. 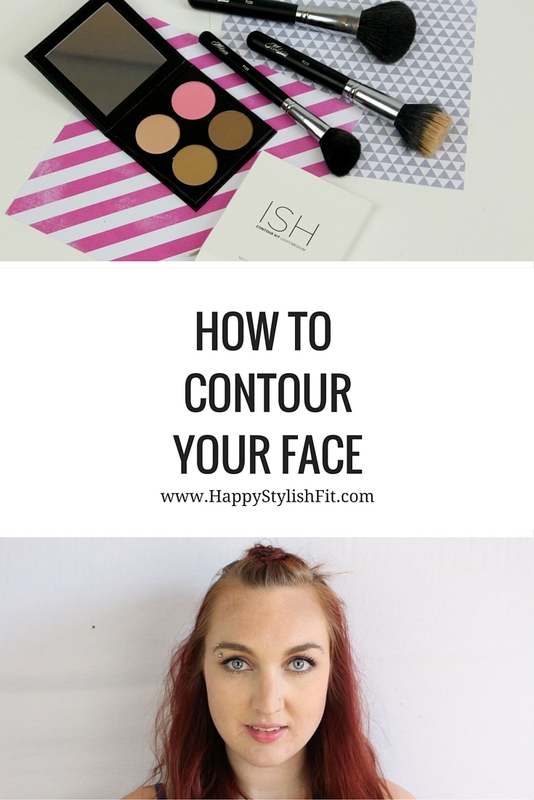 If you’d like to learn more about how I like to contour continue reading. Start with your normal face base routine whether you use foundation, powder, or a fresh face. For me it depends what I’m up to for the day, but usually it’s either some concealer and powder, or foundation and powder. You can choose to do your eye makeup before or after you contour. I personally leave contouring to the end, and then finish up with mascara and a lippy. When choosing a contour you want to pick a shade that is quite dark compared to your skin colour. At first I was nervous trying a shade so dark. I went through quite a few shades, each getting slowly getting darker before I found the right colour. So don’t be afraid to try something a little dark, you can talk to your beauty counter person if you have any questions. You can also use a darker bronzer to contour. Use an angled blush brush like Mikasa Beauty‘s F110 brush, or a flat contour brush. Apply the contour as shown below. Start by making a fishy face and apply along the hollows of your cheek going up into your hairline. Then apply along the hairline at the sides of your forehead going down towards your temples – skip this step if you have a smaller forehead, and if you have a larger forehead you may choose to go across the edge of your entire forehead. Next apply under your jaw line – I find that this instantly slims your face and jaw. Choose a shade that suits you. I personally lean towards lighter pink shades during the day, and move towards darker and bolder shades for night. Use a blush brush like Mikasa Beauty‘s F111 brush, or a large fan brush. Check out my Coupons page for a coupon code for Mikasa Beauty. Apply along the apples of your cheeks, just above your contour, and taking it back towards your hairline. Think of the blush as the bra for your cheek, the contour the underwire, and the highlight as your cleavage. This step is more optional, I usually only apply bronzer during sunnier, warmer months, or for a night out. Choose a bronzer that suits your skin tone and has the right amount of shine to give you that sun kissed glow. For my paler skin I like to use something that is quite golden. Use an angled blush brush like the same Mikasa Beauty‘s F111 brush, or a big round brush like their F110 brush. Lightly apply along the hollows/apples of your cheeks. Lightly dust along your nose and along your forehead close to your brows. I find this application to work great to give you that light sun kissed glow. For a more lade back day where I don’t feel like doing a full contour, I’ll apply bronzer like this with blush. Choose a nice, light shade to show off your cheek bones and help draw attention to your eyes. I’m quite pale, and often times I use white eye shadow as a highlight. Use the same brush you used for your blush, but make sure there isn’t any excess blush powder on it. Apply on the tops of your cheekbones. You can also apply at the edge of the arch of your brows either on top, just below, or both. 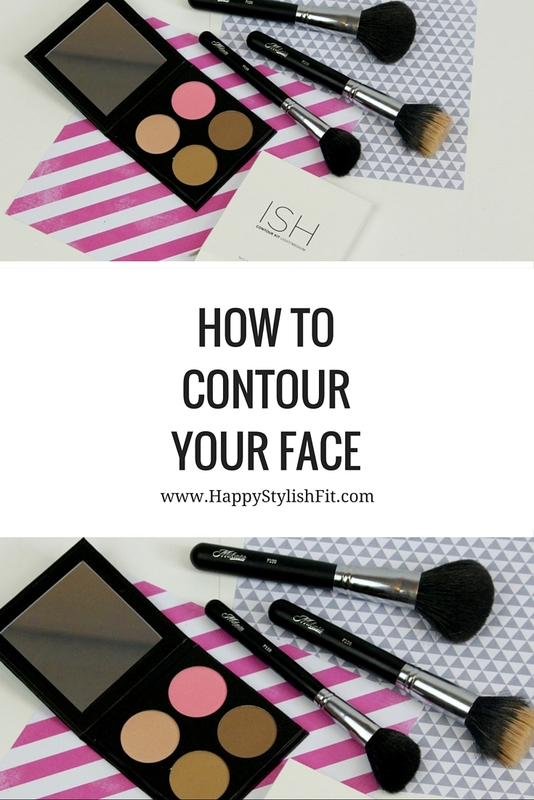 You now know how to contour your beautiful face! You can see difference in the pictures below. It is a little hard to see a big difference because of how bright my lights are for photos, but I assure you that you will notice the difference when doing it at home. The picture on the left is with basic foundation and powder with eye makeup, the picture on the right is after I’ve applied a full contour. The picture on the right shows a little bit more life and is more slimmed and defined. If you’d like to move on to your lips you can join me in my quest of finding the perfect lippy. Please leave a comment below if you’ve ever contoured and what your favourite products and brushes are. If you haven’t contoured and end up trying please share it or tag me in it on social media. On Instagram you can tag me, @HappyStylishFit and use #HSFLife, or share it to me my Facebook page.